Bears—and those who love them—need big chunks of wilderness to survive. 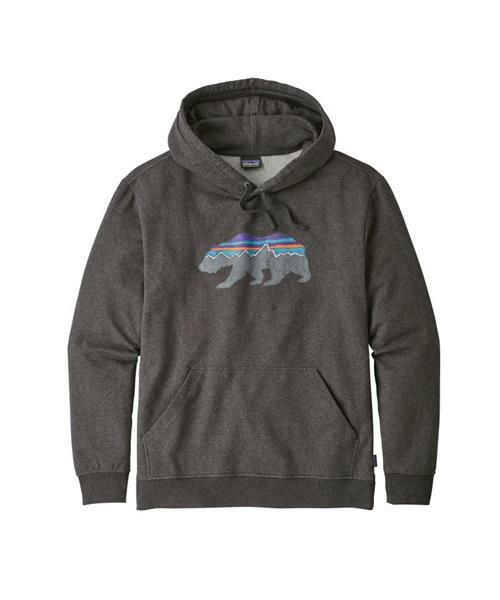 The Fitz Roy Bear Midweight Hoody’s 8.9-oz organic cotton/polyester/spandex fleece fabric blend provides medium-weight comfort. Original art by Lance Rea is screen-printed using PVC- and phthalate-free inks. Classic pullover hoody silhouette and a modern fit with lined, two-panel, drawcord hood to cinch in warmth. Rib-knit at cuffs and hem, and the front kangaroo pocket holds the essentials. Fair Trade Certified™ sewing.